The 14 graduates at the May ceremony shared an experience most college graduates couldn’t claim – they had all served time behind bars. 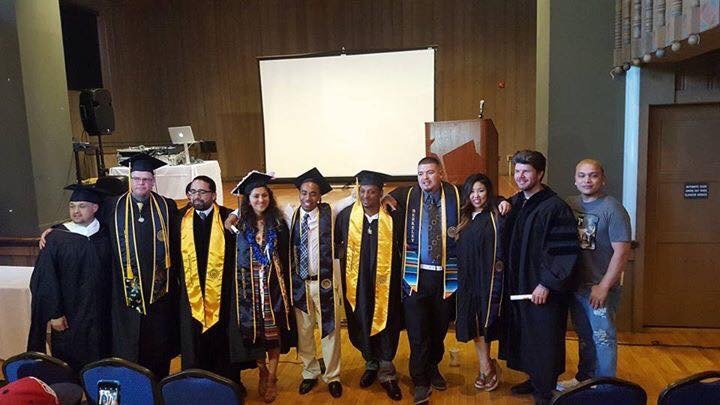 It was the first graduation ceremony of the Underground Scholars Initiative (USI) at UC Berkeley. The graduates had majors in social work, sociology, political science, ethnic studies and English. The program was started during the 2012-13 school year to support students who had been incarcerated, as well as those impacted by the incarceration of family members. Many of these students often felt isolated in the university environment. The USI program addresses a range of needs including tutoring, networking, and a support group of people who understand the challenges and stigmatization of being “formerly- incarcerated.” Too often former inmates can’t find work, housing or educational opportunities. The USI graduation featured speakers including Berkeley Mayor Tom Bates, former UC Chancellor, Robert Birgeneau, and keynote speaker, State Senator Loni Hancock, but the most compelling comments were made by the graduates and continuing USI scholars themselves. 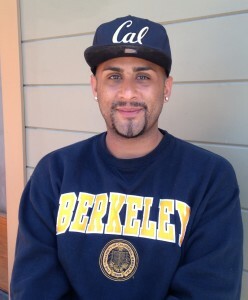 “I came to UC Berkeley with the idea that I would be very open about my experience (as being a formerly incarcerated individual); I wanted to create empowerment,” said Danny Murillo, who founded USI with fellow graduate Steven Czifra. He said the process needs to start inside prisons to help prepare those who are soon to be released to transition to university study. “How do we talk to them and give them support? We cannot turn our backs,” Murillo said. He also talked about the “secondhand effect of incarceration,” the impact on family members; USI also provides services to families. Fellow graduate Michelle Hong credited USI with helping her see her studies through to graduation. “The driving force in my life has always been my resilience,” she said. The program rejects the term “ex-felon,” because it perpetuates a lifelong stigma, even decades after they have served their time. The story of Caleb Martinez, a current USI member, illustrates the challenges participants face. He said he had been incarcerated multiple times for minor offenses since he was in middle school in San Diego; he moved there from the Pascua Yaqui Reservation in Arizona when he was nine. Martinez eventually finished high school in juvenile hall. After being released from San Diego County jail in 2012, he began studying computer interface, later changing to welding. But he had to begin at the most remedial levels of verbal and math skills. “I had to work my way up, taking five or six classes in each to get up to college level academics,” he said. Martinez was taking a humanities class when a professor asked him what he would like to do, leading to a decision to prepare himself to pursue a law degree. “I found out that I wasn’t stupid; I could not just survive, but thrive,” he said. In fact, he was the commencement speaker when he graduated from Grossmont Community College and was accepted at every college or university to which he applied. Currently, Martinez is working at USI as a transfer coordinator, helping other formerly- incarcerated students transfer from community colleges, giving them a hand with everything from writing personal statements to finding support groups while at UC Berkeley. He is close to finishing his degree with a major in political science and a minor in public policy. Martinez plans to go on to law school, and ultimately return to the Pascua Yaqui Reservation, where he hopes to become a member of the Tribal Council. At the graduation ceremony, David Maldonado received his Master’s. He had been accepted to a Ph.D. program. He said he was excited to participate, as both a graduate and as the DJ for the ceremony. He is already working on his next degree. “I got a paper due on Tuesday,” he said.